CCEUs only included if offered. You are a current member of ICF Washington State. CCEUs are included in your registration. ICFWA has a No Refund Policy. In our Western culture we speak as though thoughts and emotions are separate processes, and operate with a bias for rational intellect above emotions. But brain research is redefining the rational brain as a feeling organ that thinks. To understand what’s happening in any moment, we can’t rely on intellect alone. In fact, we need to think and feel to understand more clearly what’s happening within and between us. Empathy is one of the most important qualities we possess as coaches. It involves accurately identifying what another person is thinking, feeling, wanting and intending; knowing what it is like to be the other without losing our own emotional boundaries. By building empathy “muscles,” we can identify the real conversations that need to occur. This workshop develops ICF Competencies 3) Establishes Trust and Intimacy with the Client, 4) Coaching Presence, 5) Active Listening and 8) Creating Awareness. My collaborative approach helps people learn from their differences so that they can face their challenges, discover new options and move into the future with confidence. Whether you are experiencing a high-stakes business disagreement or a complex workplace dispute, I offer collaborative processes that enable you to learn and lead your way through conflict. I provide conflict engagement and leadership development services for non-profit, corporate, and government agencies. For over 18 years I have worked as a coach, facilitator and trainer fascinated by leadership and team-building challenges. I teach a variety of topics including handling difficult conversations, influence without authority, negotiation, consulting for effective change, handling workplace stress, and storytelling for change. I also work for the King County Office of Alternative Dispute Resolution as a mediator, facilitator, trainer, and coach. 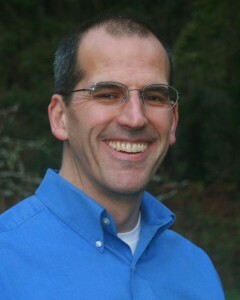 I manage the King County Coaching Program and am a certified Results Coach and an ICF Associate Certified Coach. To learn more, visit www.dougnathan.com.